The ancient city of Ollantaytambo is located fifty miles northwest of Cuzco, in the Yucay Valley. Today, it is probably best know as the starting point of the Inca Trail. 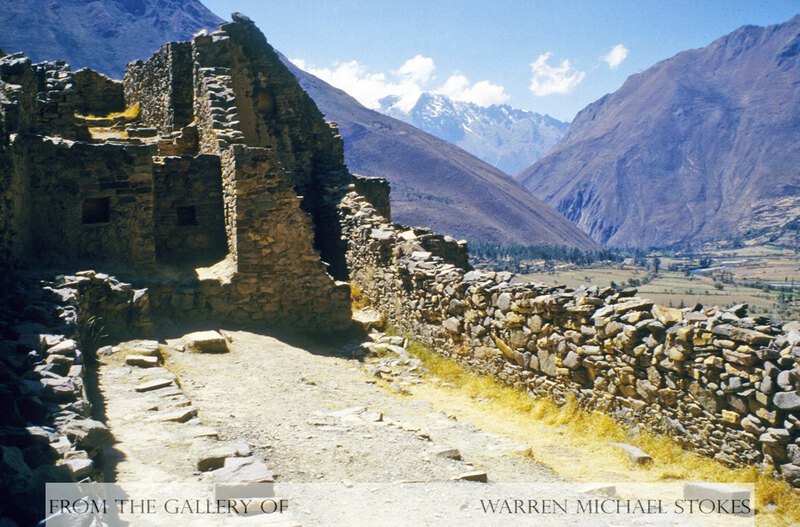 Ollantaytambo is rich in Incan history, and the ruins found here sit in one of the most pristine settings imaginable. The Spanish conquistadors discovered Ollantaytambo only after Sapa Inca Manco Inca rebelled and set up his new capital here. When the Pizarro brother's arrived in Ollantaytambo in 1537, they could not believe how well it was protected and how difficult it was to access. The brothers called this place “Tambo,” and when they arrived they were astonished to find very high terraces that were fortified with great masses of masonry. Spanish chroniclers tell us that the Incas amassed such a huge army that they could not all fit on to the surrounding hillsides. The Spaniards tried everything they could, but they were continually driven back by sling shots and hurled rocks. The Inca's were aided by weapons that they had previously seized from the Spaniards and a fierce struggle became more and more savage. Then suddenly Manco Inca appeared on a horse with a Spanish lance in his hand. Unknown to the Spaniards Manco Inca had diverted the Urabamba River and the water was rushing towards them, soon their horses would be rendered useless. Miraculously, the Incas won. Soon afterward Manco Inca, feeling exposed to Spanish hostility, departed for the Vilacamba hills and set up a new capital. Historians tell us that the Ollantaytambo site was constructed by one of the Incas greatest emperors Pachacuti. Spanish historians believe that this area was first occupied by the Tampu people. However, when the Tampu refused to pay homage to the Inca's Pachacuti, the Incas attacked, and won. Shortly thereafter Pachacuti would begin building a beautiful royal estate. He constructed some magnificent buildings there. The Sun Temple was in the process of being reconstructed when the Spanish forced Manco Inca flee, and it was never finished. It sits at the very top. Also, there are forty three grain storage building here. These qollqa as they are called come in two distinct types, and they were mostly used for corn or potatoes. The village that sits below the ruins is said to be the most perfect example of an ancient Incan town in existence. Historians tell us that this was not an ordinary town, but instead one that was obviously built for royal or religious dignitaries. The quarrying and transporting of the rocks had to have taken an enormous amount of man power. The quarry for these rocks is located 3 miles from the ruins and rocks as big as 100 tons were moved by pure muscle power. Over 4,000 men were said to have worked in this quarry at its peak, while over 6,000 were employed dragging rocks to the site. Many modern archaeologists believe that these enormous stones were rolled on top of tree trunks.